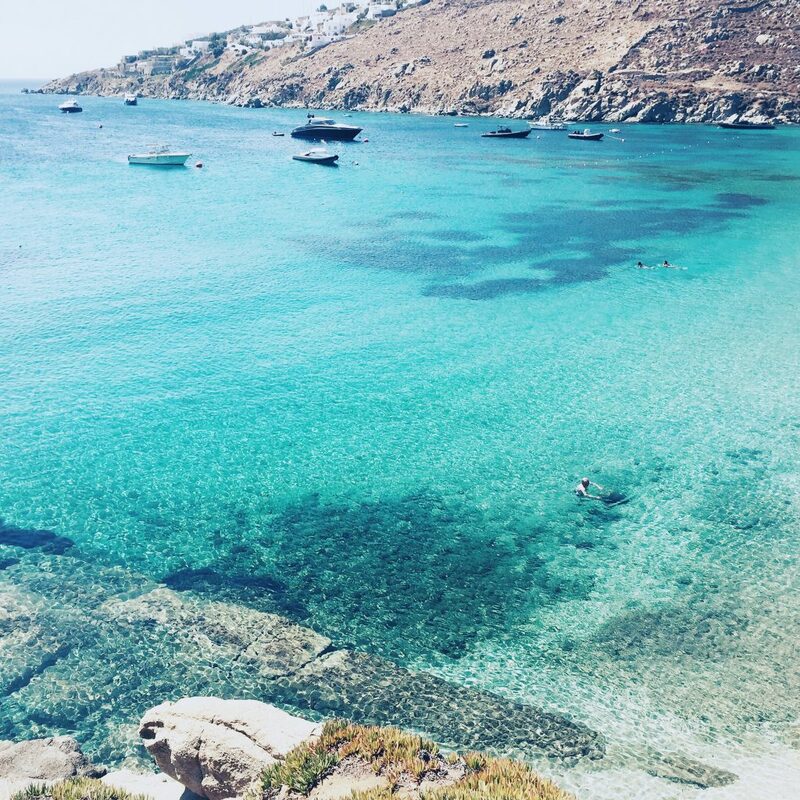 My boyfriend and I stayed at the Mykonos Blu Hotel which is located on Psarou Beach, one of the most beautiful beaches of the island. Our room had an amazing view which i couldn’t get enough of. Waking up looking over the turquoise blue ocean was just pure heaven. The hotel has such a positive and happy vibe that we could have stayed forever. Whenever i am traveling one of my favorite things to do is to go fruit shopping. 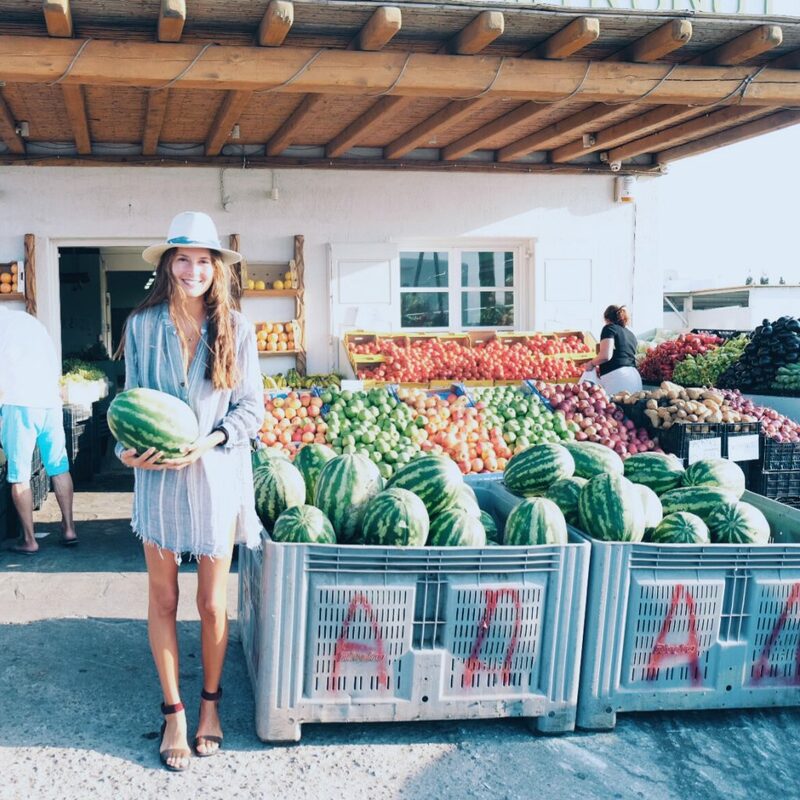 I just LOVE to see local supermarkets and to try local fruits that are in season and usually taste soooo good as they come directly from the island. I found the nicest fruit market with tons of fresh figs, grapes and melons. I find staying healthy on vacation so much easier when i buy lots of fruits outside the hotel as fruit plates in hotels and restaurants tend to be quite small. I went grocery shopping every second day and most of the time ordered baked oil free potatoes and salads at restaurants. Another amazing place i have to tell you about is the restaurant Spilia. It may not be the most vegan friendly restaurant but the setting is so special that i really enjoyed sitting there and enjoying a simple fruit platter which actually turned out to be quite big :-). The restaurant is located in a small cove right next to the water, such a magical place! Being close to the ocean always makes me feel the happiest. The fresh air, the waves, the endless views and the bright, blue colors are so good for our body and soul that i truly believe in the quote Let the ocean be your therapy. 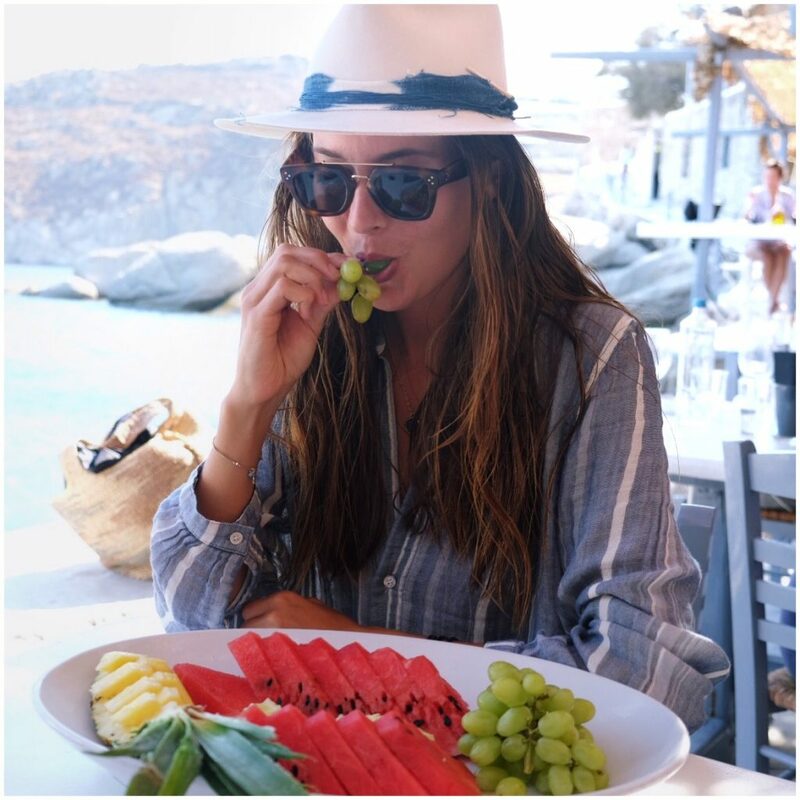 I hope you have enjoyed this post and got an impression of what my time in greece looked like :-). I can’t wait to share more travel experiences with you as i think it is so much fun to see places through different eyes. Have a lovely Sunday everyone!! 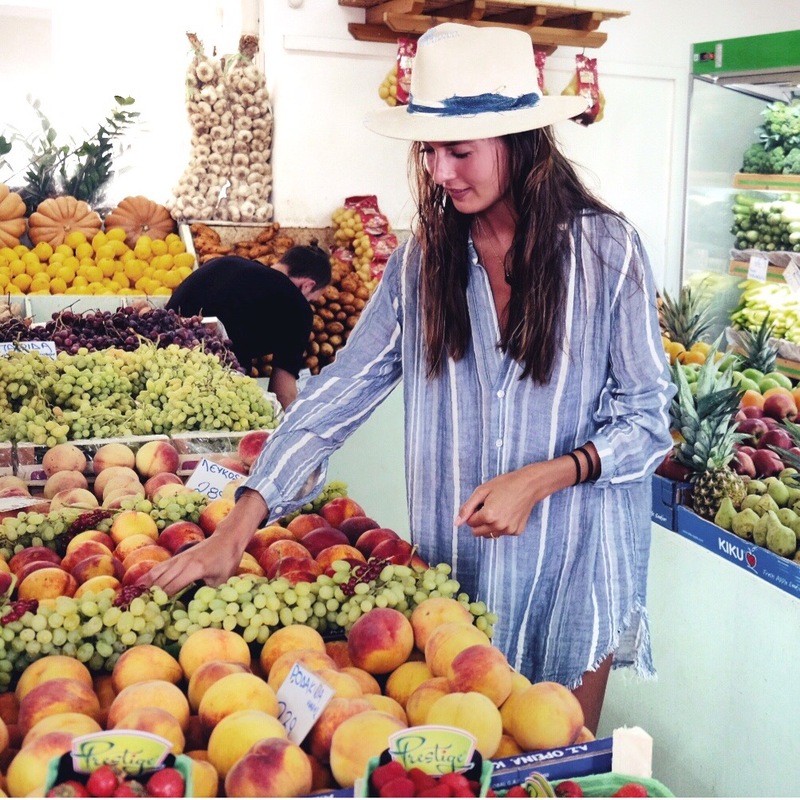 Where did you purchase your white straw hat? ich verfolge von Anfang an deinen super positiven und inspirierenden Blog ! Danke für die tägliche Sonne die Du in unser Leben bringst ! In welchem Hotel wart ihr dort ? das freut mich:-))!! Lieben Dank! Nur mal vorhinweg wollte ich mich bei dir bedanken, weil du so eine tolle Inspiration für mich warst in den letzten Monaten, als ich begonnen habe mich Vegan zu ernähren. Noch nie war ich so happy in meinem Leben! Du bist wirklich ein tolles Vorbild! Was mich interessieren würde: machst du Sport während du im Urlaub bist? Und generell, wie oft pro Woche machst du Sport? Wenn ja, was machst du meistens genau? Könntest du eventuell dazu einen Eintrag machen? 🙂 Das würde mich sehr freuen! Liebe Leni, tausend Dank!! :-) Es ist sooo schön das su hören 🙂 :-)!! Wenn ich im Urlaub bin mache ich meistens lange Spaziergänge oder gehe morgens joggen. Ja klar, ich werde bald einen ausführlichen post dazu machen :-)! Inspiring! Might plan a vacation there next year. Thanks for sharing! Such a lovely post Caroline! I hope to go to Greece one day, it’s definitely on the top of my bucket list and Mykonos seems like the perfect place. You are an adorable girl and I love reading your content! Hi Erika, thank you so much!! So happy to hear that! 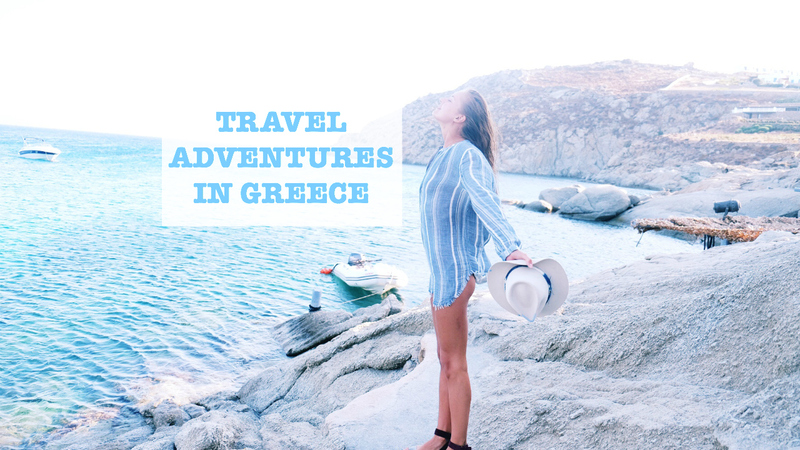 Greece was def an amazing experience and I’m sure you will love it as much as i did!